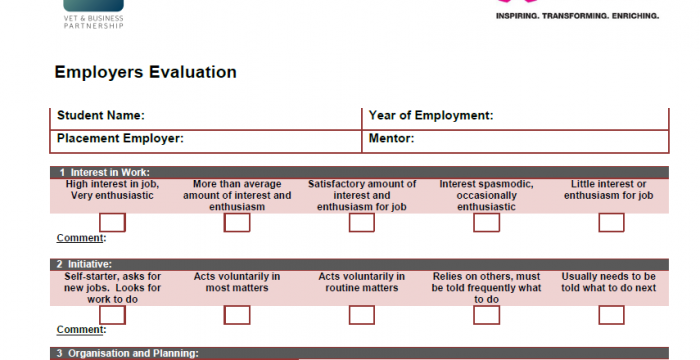 Evaluation of the student while on placement, their work, abilities and work ethic. 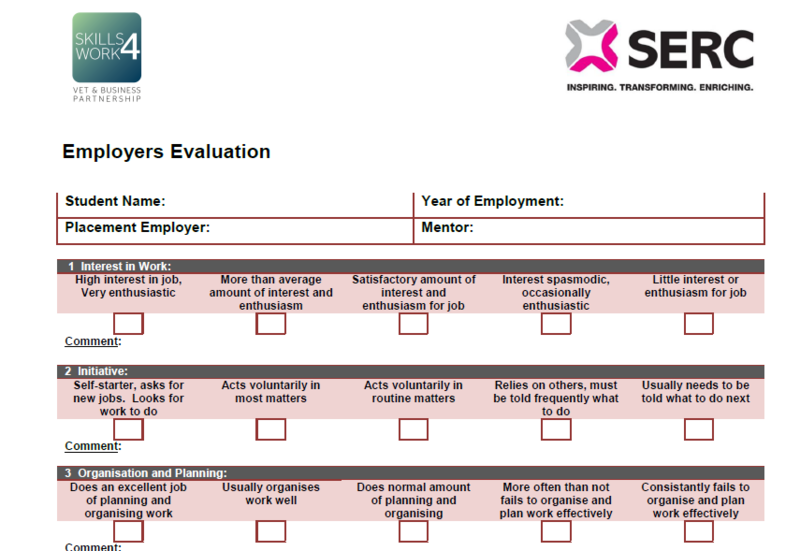 This document is completed by the Employer mentor – the member of staff who would have supervised and spent the most time with the student therefore able to complete the evaluation fairly. The aims is to receive feedback from the Employer on the performance of the student on placement as well as to build the portfolio of the student experience and receive a grade for the placement module. Students will be able to learn from the placement and improve the opportunity for subsequent students. This document should be posted or emailed to the Employer during the last week of placement or if the VET Provider have an online placement management system (e.g. BEST) it can be completed via a secure log in.